Home Catalogue Archive by category "Yukata"
After the devastating earthquakes in Japan just over a month ago, several of my friends decided to raise money by auctioning off items in their collections, with proceeds going to Global Giving for disaster relief. When I saw the adorable navy yukata that Jess had listed, I knew I had to have it. It’s got such a fun, summery feel to it. I love the trellis-like design, and I can’t wait to wear it. I know it’s going to look adorable with my green hakata. I just have to wait for the weather to improve! I love how I keep ending up with more yukata and nowhere to wear them. This amazing set was a gift from Arian, because he is a goofball. I saw it on Rakuten and fell in love with the unexpected designs. They remind me of old-school tattoo flash or motorcycle art, sort of Von Dutch or Ed Hardy style. There are hot rod flames, skulls, roses, handcuffs, snakes, and lord knows what else. Every time I look at it I find new things to ogle. 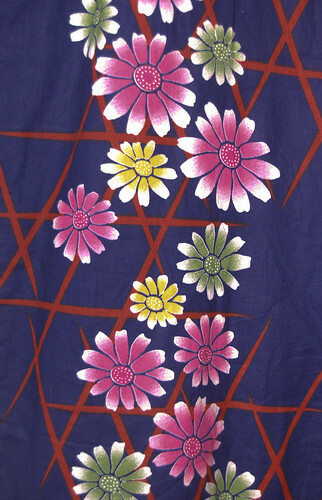 The obi is pretty awesome too – on the surface it looks like a pretty mundane pink obi with white butterflies, but on closer inspection, the butterflies (like those on the matching geta are actually decorated with human skulls. I think the fact that these are much more subtle than the vivid, cartoony skulls on the yukata are what make the items work so well together. I can’t wait until it gets warm enough for me to wear this out somewhere! 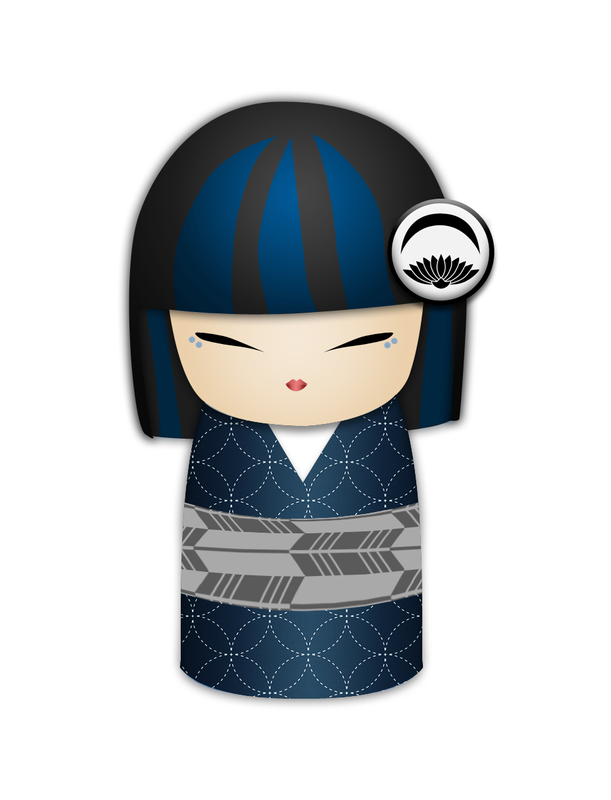 I think it’s an item that kimono and non-kimono people alike will appreciate.